Each week on Mingtiandi we track who among China’s commercial real estate community has left their role, been promoted, or discovered that the guy now running their Fortune 500 employer formerly drove banana boats along the beach in Boracay and still thinks his job is to zigzag as hard as possible so he can fling people off the back. Yong Shen has left CapitaMalls Asia to join US developer Tishman Speyer as Managing Director and CFO – China. Shen had been with Singapore’s CapitaMalls, which is part of the CapitaLand group for more than two years, serving there as Managing Director for China Finance. Chris Brooke has been transferred from his role as Chairman and CEO of CBRE China based in Beijing, to concentrate on managing the company’s development consultancy business in the region as Executive Director of CBRE Consulting Asia Pacific. Chris’ move comes after eight years with CBRE in China. Colin Clark has left his role as Director of Operations with the Project Management division of CBRE China. Colin has reportedly started his own business building house barges for expatriate families seeking to avoid the bustle of the big city so that they can float along the waterways of China. We wish Colin all the best. Robert Rupar has reportedly resigned his post as Executive Director and head of the Investment Properties business line at CBRE China. Cruise Chen has taken on the role of Leasing Manager with Hang Lung Properties, the developer of Plaza 66 and Grand Gateway, in Shanghai. Cruise joined the Hong Kong developer after nearly four years with the office services department at CBRE where he served as Associate Director. Grace Ming is now Senior Associate Director for Marketing & Leasing and Asset Management at Mapletree in Shanghai. Her previous position was Assistant General Manager for the K. Wah Centre with Hong Kong real estate developer K. Wah Group. Lawrence Chan is now an Associate with BlackRock in Hong Kong, having joined the private equity firm as part of its acquisition of MGPA where he served as a Fund/Investment Analyst. 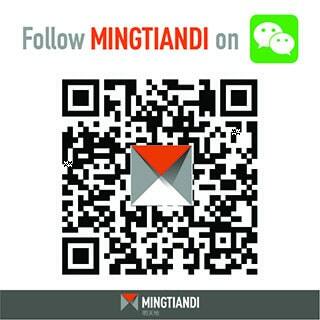 If you know of other job changes among China’s commercial real estate professionals, please feel free to contact me at Mingtiandi.